Does this mean then that “the Book of Dzyan” is merely a sort of generic code name for a book which in fact has another name or other names? After all, this title merely means “Book of Mystic Meditation” or “Book of Wisdom attained by Meditation.” Might it not be the case that the name “the Book of Dzyan” may have been chosen both for sake of convenience and also in order to avoid revealing too much of the secret esoteric teaching, including its sources and nature, of her Masters and Teachers in Tibet and the Trans-Himalayan regions? Scoffers and sceptics – who seem to very rarely pay proper attention to the significance and content of HPB’s words yet who nevertheless feel themselves qualified and competent to criticise, berate, ridicule, and condemn her – have probably never stopped to consider that there could be something legitimate and genuine about the Book of Dzyan and that it could actually exist. The idea that HPB may well have been an honest, truthful, decent person has most probably never occurred to them. David Reigle, a Tibetologist, has spent several decades in detailed research and investigation which has resulted in him being able to identify and state, with some degree of certainty, that what we call “the Secret Book of Dzyan” is in fact the now “lost” and “missing” esoteric root text of a certain Tibetan Buddhist scripture, the name of which is now quite well known. “The “very old Book” is the original work from which the many volumes of Kiu-te were compiled. Not only this latter and the Siphrah Dzeniouta but even the Sepher Jezirah, the work attributed by the Hebrew Kabalists to their Patriarch Abraham (! ), the book of Shu-king, China’s primitive Bible, the sacred volumes of the Egyptian Thoth-Hermes, the Puranas in India, and the Chaldean Book of Numbers and the Pentateuch itself, are all derived from that one small parent volume. Tradition says, that it was taken down in Senzar, the secret sacerdotal tongue, from the words of the Divine Beings, who dictated it to the sons of Light, in Central Asia, at the very beginning of the 5th (our) race; for there was a time when its language (the Sen-zar) was known to the Initiates of every nation, when the forefathers of the Toltec understood it as easily as the inhabitants of the lost Atlantis, who inherited it, in their turn, from the sages of the 3rd Race, the Manushis, who learnt it direct from the Devas of the 2nd and 1st Races. . . . The old book, having described Cosmic Evolution and explained the origin of everything on earth, including physical man, after giving the true history of the races from the First down to the Fifth (our) race, goes no further. It stops short at the beginning of the Kali Yuga just 4989 years ago at the death of Krishna, the bright “Sun-god,” the once living here and reformer. “The Book of Dzyan – from the Sanskrit word “Dhyan” (mystic meditation) – is the first volume of the Commentaries upon the seven secret folios of Kiu-te, and a Glossary of the public works of the same name. Thirty-five volumes of Kiu-te for exoteric purposes and the use of the laymen may be found in the possession of the Tibetan Gelugpa Lamas, in the library of any monastery; and also fourteen books of Commentaries and Annotations on the same by the initiated Teachers. * There is now only one original copy in existence of this Book. * It has served as the source and basis for many world scriptures. * It was written in the Senzar language. Senzar, according to Theosophy, is a very ancient and secret language, used privately by Adepts and Initiates. The name “Senzar” is itself a Tibetan word or conjunction which literally means “Secret Language” or “Secret Speech.” It is said that Senzar is older than any language now known to man. * It was written in Central Asia, at the very beginning of the Fifth Root Race. The concept of Root Races is explained in some of the articles linked to below but for now it will suffice to say that the Fifth Root Race, known as the Aryan, Indo-Caucasian, or Indo-European, is our present epoch and that it began a very long time ago. If one takes the figures given in “The Secret Doctrine” literally, it was 1,000,000 (one million) years ago. If one chooses not to take them literally – and there is good reason not to, seeing as HPB says in the selfsame book that the real figures, numbers, and calculations, of cycles and evolutionary periods are not permitted to be given to the public – one is still forced to admit that this must have been a very long time ago; surely tens of thousands of years ago at the very least. * Its real authors were “Divine Beings” who wrote it through dictating it to “the sons of Light.” Turning to the Stanzas of Dzyan themselves, we find that the very last Stanza quoted in the second volume has been given the title “THE FIFTH RACE AND ITS DIVINE INSTRUCTORS.” It is described how the last great island (save Poseidonis, Plato’s Atlantis, which perished much later) of Atlantis was destroyed and submerged, with “ALL HOLY SAVED, THE UNHOLY DESTROYED,” and it is said that the good and pure souls were led to safety in high and dry lands, namely the Himalayas of Central Asia, which became the starting point or birthplace of our present race. “THE FIFTH RACE PRODUCED FROM THE HOLY STOCK (remained). IT WAS RULED BY HER FIRST DIVINE KINGS. * Whenever it was first dictated, its content may have been added to afterwards, seeing as it covers events down to the start of the Kali Yuga, which coincided with the death of Krishna, generally said to have occurred 5,118 years ago as of 2016. So the Book may only have been finally completed 5,118 years ago or all the key events and developments leading up to that time may have already been contained within it in some sort of prophetic form. * Amongst the numerous secret books and esoteric records in the possession of the Masters of the Wisdom is another one – “the first volume of the prophetic record for the Black Age” (i.e. the Kali Yuga) – which covers the first 5,000 years of the lengthy Kali Yuga period, going up to 1897-1898, when that first cycle of the Kali Yuga came to an end. And another one – “Volume II. of the Prophecies is nearly ready, having been in preparation since the time of Buddha’s grand successor, Sankaracharya.” It is now most probably complete and in use. Its preparation began in the lifetime of Adi Shankaracharya, a great figure in both Hinduism and Theosophy, who lived around 2,500 years ago. If this second volume covers another 5,000 years, it will go up to the year 6897 or 6898 A.D.! * Nothing from the Book of Dzyan had been translated into English or any other European language before the work of HPB. * However, Sanskrit, Tibetan, and Chinese translations (perhaps others too?) already existed in her time, either of the Book of Dzyan itself or commentaries based upon it. * It is not quite clear whether our Book of Dzyan is this parent text, the “Book of the Secret Wisdom of the World” (described as “one small archaic folio” while the Book of Dzyan, as we saw, has been described similarly as “one small parent volume“) or “the first volume of the Commentaries upon the seven secret folios of Kiu-te, and a Glossary of the public works of the same name.” It sounds more like the former and as the passage we are now referring to is from the so-called “Third Volume” of “The Secret Doctrine,” a misleadingly named book published by Annie Besant six years after HPB had passed away, largely from her unfinished and discarded manuscripts, it is not really possible for us to know how HPB herself may have altered the text, had she lived longer and had the opportunity or wish to do so, nor to what extent Besant and her collaborators, such as G.R.S. Mead and G.N. Chakravarti, may have altered and edited it prior to publication, seeing as Besant and Mead already had a reputation for altering and changing HPB’s words and work. * The Books of Commentaries, presumably with the Book of Dzyan itself, “are kept secret and apart, in the charge of the Teshu Lama of Tji-gad-je,” i.e. the Panchen Lama of Shigatse. In the Gelugpa branch of Tibetan Buddhism, the “Yellow Hats” founded by Tsong Kha-pa (1357-1419), and with which HPB and the Masters have made clear Their connection, there are two chief Lamas, the Dalai Lama and the Panchen Lama. Although the role and work of the Dalai Lama is better known today, Theosophical literature states that the Panchen Lama is of greater esoteric significance and import. He is also known as the Tashi (“Teshu”) Lama, due to his traditional monastic seat being Tashilhunpo Monastery in Shigatse (“Tji-gad-je” phonetically). Unfortunately the present Panchen Lama was abducted as a young boy by the Chinese in the 1990s and his whereabouts and condition remain unknown. The Chinese government have replaced him with a fake “Panchen Lama” of their own, the son of hardline communists, who travels the world talking about how wonderful the Chinese government is. No doubt the most important texts and scriptures have been safely and securely preserved, perhaps moved elsewhere. Anyone who is especially interested by the things mentioned here is strongly encouraged to get a copy of David Reigle’s book “Blavatsky’s Secret Books” as it goes into far more depth and detail than an article like this ever can. It is Reigle, after all, who has spent decades researching relentlessly into both the works of H.P. Blavatsky and the archives and scriptures of Tibetan Buddhism and who has made the majority of the interesting discoveries in this regard. HPB said that the exoteric or public volumes of Kiu-Te “may be found in the possession of the Tibetan Gelugpa Lamas, in the library of any monastery.” This has been found to be indeed true but even these exoteric volumes are regarded in the Tibetan tradition as containing the Buddha’s secret teachings and so they continue to have restricted access to outsiders. “Even now only a tiny fraction of them has been translated into English,” remarks Reigle. In HPB’s article “Tibetan Teachings,” she quotes the words of “the Venerable Chohan-Lama – the chief of the Archive-registrars of the libraries containing manuscripts on esoteric doctrines belonging to the Ta-loi and Tashu-hlumpo Lamas Rim-boche of Tibet” [i.e. the Dalai and Panchen Lamas] . . . “the learned Chohan, than whom no one in Tibet is more deeply versed in the science of esoteric and exoteric Buddhism” and who was quite probably the same as the Maha Chohan, the elderly Chief of the Trans-Himalayan Brotherhood. 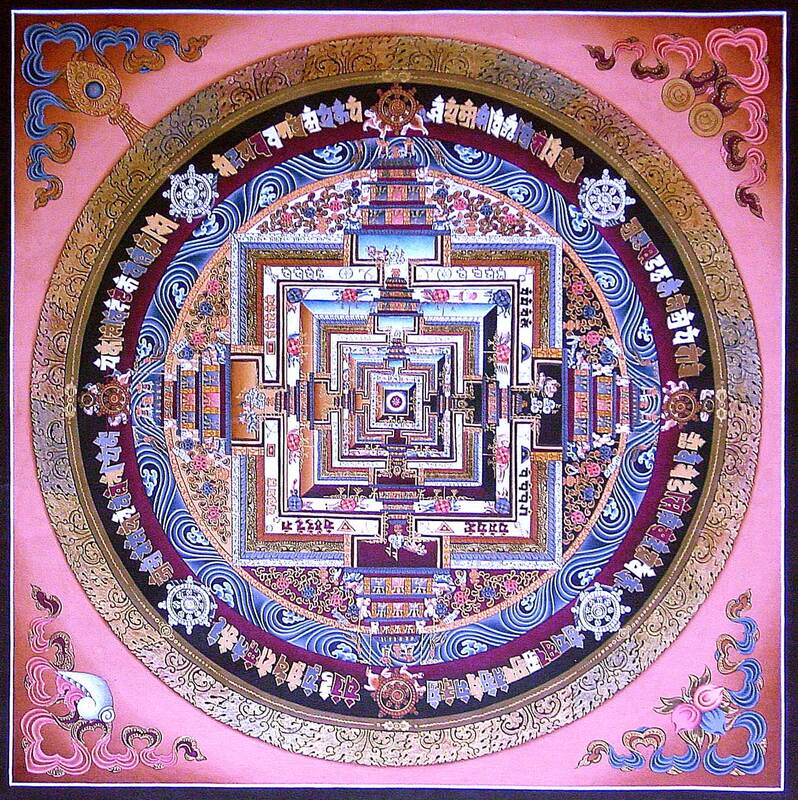 David Reigle believes, for reasons he explains in “Blavatsky’s Secret Books,” that THE SECRET BOOK OF DZYAN IS MOST PROBABLY THE MULA KALACHAKRA TANTRA. The word “mula” means “root” in Sanskrit and the Mula Kalachakra Tantra – also referred to as the Kalachakra Mulatantra – is the hidden esoteric root and source of the more exoteric Kalachakra Tantra, the latter of which has become so widely heard of today due to the efforts of the Dalai Lama. This is not to be understood as meaning that the Kalachakra system or the Book of Dzyan Teachings originated with Gautama Buddha. If this were the case, it would make them only approximately 2,600 years old. The implication is that Buddha was simply handing on knowledge and teaching which already existed and which he had himself learnt. Both during her lifetime and ever since, many have considered it implausible and impossible that Helena Blavatsky could have had access to knowledge, information, books, and even places and locations, which were unavailable and inaccessible to the world at large. Time will surely show – and has already begun to show – that they were wrong and that she was indeed what she claimed to be and much more…an emissary, agent, messenger, and representative, of that hidden Esoteric Brotherhood of the East, which guides and watches over the spiritual evolution and advancement of humanity. 1. In the 1880’s HPB says:The Stanzas of Dzyan she quotes and expounds upon in the “Cosmogenesis” and “Anthropogenesis” volumes of “The Secret Doctrine” are from the first volume of the Kiu-te commentaries. No-one believed her. 2. In the 1880’s HPB says:The esoteric volumes of Kiu-te are kept secret and under the supervision of the Panchen Lama of Shigatse and that there is a secret Esoteric School connected with the private retreat of the Panchen Lama near his Tashilhunpo Monastery at Shigatse. No-one believed her. 100 years later academic research shows: Tashilhunpo Monastery has in fact long been considered by Tibetans to be the major centre in that country for Kalachakra studies and that the Panchen Lama did indeed have something of an esoteric school, where esoteric (as opposed to more exoteric) studies and practice of the Kalachakra Tantra were carried out. 3. In the 1880’s HPB says:That she has direct familiarity and connection with a highly esoteric system of Tibetan Buddhism and that she knows full well what she’s talking about when it comes to such matters. No-one believed her. 4. In the 1880’s HPB says:“No one styling himself a “scholar,” in whatever department of exact science, will be permitted to regard these teachings seriously. They will be derided and rejected a priori in this century; but only in this one. For in the twentieth century of our era scholars will begin to recognize that the Secret Doctrine has neither been invented nor exaggerated, but, on the contrary, simply outlined.” No-one believed her. 100 years later academic research shows: That what she said is exactly what has happened. The Sanskrit word “Tantra” literally means “Continuum” or “Expansion.” Although it has become linked or synonymous in the minds of many Westerners with sexual practices, sexual magic, and so-called “sacred sexuality,” this is not its inherent or original meaning. While it is true that there are scriptures and systems of Tantra in both Hinduism and Buddhism which include sexual elements to varying degrees and in various forms, this is not always the case. There are numerous Mahayana Buddhist scriptures called “Tantras” which have nothing at all to do with sexual matters. The publicly known versions of Kalachakra Tantra have a sexual side and the Dalai Lama even openly refers to, endorses, and promotes sexual Tantra in some of his bestselling books. None of this would be supported or agreed with for a moment by HPB, the Masters, or the real Esoteric Philosophy. It goes against the very essence of Theosophical teaching and practice. Sexual magic and sexual Tantra are “the worst form of black magic or sorcery,” says HPB with italicised emphasis in the entry for “Tantra” on p. 319 of her book “The Theosophical Glossary.” We can thus safely assume that the Mula Kalachakra Tantra and the various Kalachakra Commentaries possessed and used by the Brotherhood have nothing to do with such things. It is not the place here to go into a discussion of various verses purported to be additional “Stanzas of Dzyan” that have been published by certain individuals since the time of H.P. Blavatsky. Alice Bailey did so, as did “The Temple of the People” in their own spurious “Third Volume” of “The Secret Doctrine.” Others have done so and a few New Age channellers still do so today, from time to time. One need only compare these with those in “The Secret Doctrine” and notice the vast difference between them, in terms of such aspects as style, content, doctrine, and clarity. Those published by Bailey, for example, have a decidedly Western and Christian Kabbalistic feel to them. The article Tibetan Master or Christian Priest? (Uncovering the real inspiration behind the Alice Bailey Books) definitely needs to be read by any students and followers of the Alice Bailey teachings. It is a lengthy article but those who genuinely want truth and fact rather than deception and fiction will read the whole thing carefully and dispassionately and then come to their own conclusions. A strong connection with Tibetan Buddhism will have been noticed by those who have read through the present article. The Masters and HPB are not any type of exoteric Buddhists but are connected with the secret and esoteric Yogacharya School of Buddhism, founded in India by the original Aryasangha, an Arhat and direct disciple of Gautama Buddha, and relocated later, owing to persecution from the Hindu Brahmins, to the Trans-Himalayan region. The esoteric Yogacharya School operates in strict secrecy and preserves the genuine esoteric teachings of the Lord Buddha himself. It is Buddha’s own Esoteric School. More has been written regarding these things in such articles on this site as Alaya – The Universal Soul and Self and Non-Self in Buddhism and Theosophy. It is time for “The Secret Doctrine” to be read, studied, assimilated, taught, and popularised, like never before. It is the Masters’ greatest gift to us in this era, as a New Age dawns for mankind. Will we make proper use of what They have unveiled and made so freely available to us, from the long sealed fountains of the hidden East? They watch – and wait. SOME RELATED ARTICLES: An Invitation to The Secret Doctrine, Who Wrote The Secret Doctrine?, A Beginner’s Guide To Studying The Secret Doctrine, Human Evolution in The Secret Doctrine, Chains, Globes, Rounds and Root Races, Responding to Lies about H.P. Blavatsky, The Masters and Madame Blavatsky, Who are you, Madame Blavatsky?, The Closing Cycle, 12 Things Theosophy Teaches, Theosophy – An Explanation and Overview, Praise for H.P. Blavatsky and Theosophy, The “Third Volume” of The Secret Doctrine, Tibetan Master or Christian Priest? (Uncovering the real inspiration behind the Alice Bailey Books), 14 Good Reasons to reject the Alice Bailey Teachings, Original Theosophy and Later Versions, Why Stick To The Original?, Maitreya in the Light of Real Theosophy, The Unavoidable Facts about C.W. Leadbeater, Theosophy and Agni Yoga, What is a Chohan?, The Great Tsong Kha-pa, The Letter from the Maha Chohan, Should Theosophists get involved with Tibetan Buddhism?, Theosophy and the Tibetan Book of the Dead, Books on Theosophy, and The Theosophical Society is Disloyal to Theosophy. I remember going to little bookshop in London 30 years ago, to purchase The Secret Doctrine after reading several of Dr Douglas Bakers books. I was nailed to it for ages. Changed the way I think about things.